After 24 months of work, our study describing the discovery of a plasmid for Wolbachia appeared in Nature Communications. I thought that this would be a good moment to take a break and think through everything that led to this proud moment and learn from it. Wolbachia is a bacterium that lives inside the cells of many different insects worldwide, including mosquito. As the survival of Wolbachia entirely depends on their presence in a host system, they developed many strategies to spread themselves throughout the insect populations. It uses parthenogenesis, male killing, feminizing, and cytoplasmic incompatibility to make sure its population size increases. Because of this capacity to manipulate the host reproduction, and to interfere with pathogen transmission, it is one of the most promising solutions for vector control. According to the World Health Organization (WHO), mosquitoes, which are vectors of deadly pathogens such as Zika, Dengue, Chikungunya, Plasmodium, are the greatest threat to public health. The burden of these diseases has led many scientists to study the mosquito host, its immune system, but also its associated microbiota and notably Wolbachia. The endosymbiont is used in vast transfection programs like The World Mosquito Program and has now become a charismatic microorganism for global health worldwide and science education through Discover the Microbes Within! The Wolbachia Project. 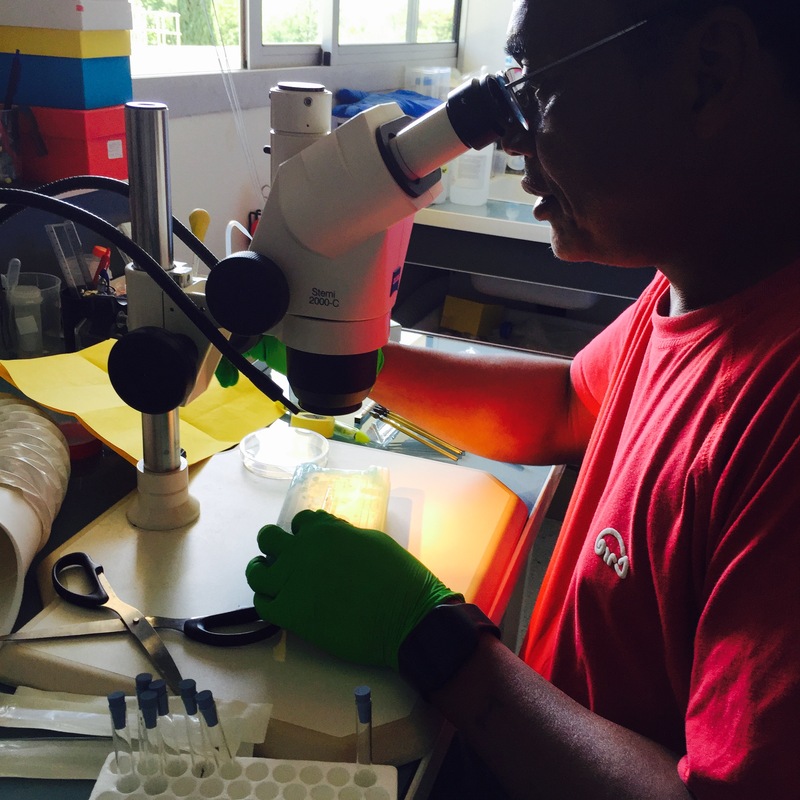 After the introduction of Wolbachia in the species Aedes aegypti, the program relies on the release of a limited number of mosquitoes with the newly introduced Wolbachia and the breeding of these with wild populations. As a result, more mosquitoes are being infected with Wolbachia and the transmission of pathogens viruses to local mosquito populations diminishes. Yet, the mechanisms of the interactions, at the molecular level, between the mosquito, pathogens, and Wolbachia are poorly known. The more complex the microbial community, the harder it gets. And the complexity linked to endosymbionts, which live within the cells of their animal host, is an order of magnitude higher. Attempts to cultivate Wolbachia in laboratory settings have not been successful and getting enough pure DNA of the bacterium is a struggle. The mosquito genome is approximately 1 Giga base pair while the bacterium is around 1 Mega base pair. Host contaminations are a true bottleneck. Most metagenomic Wolbachia studies are done on pools of mosquitoes. Or better said, most metagenomic Wolbachia smartly focus on pools of embryos, which show the highest ratio of bacteria to host. But how could we tackle Wolbachia in its real environment. That is, a single Wolbachia population within the tiny reproductive organs of a tiny single mosquito. The amount of DNA extracted from the mosquito’s ovaries was less than 1 nanogram per microliter and the idea of focusing on individual mosquitoes sounded rather crazy…until I told Meren, the last author of this study, about this new research and idea. Meren and I met in Woods Hole, Massachusetts, in 2011 when we were both doing our post-doctoral training at the Bay Paul Center of the Marine Biological Laboratory. Meren was a computational scientist and I was coming from a molecular evolution background. In the MBL’s supportive environment, we were a small group of young and more established scientists working together on free-living and host-associated microbial ecology projects. The small community of scientists working at the MBL at that time constantly fostered spontaneous and exciting science conversations often supported by beer or coffee. These conversations sometimes turned into experiments, other times into thousands of lines of codes that gave birth to tools such oligotyping and anvi’o. While being a part of that community was a unique experience, I had to start over in France to implement a new research program at INRA. When one accepts a new position and starts everything from scratch, a strong network means so much. Invaluable connections between scientists give the space we need to think freely, and to dare. Despite all the sophisticated tools and technologies, one scientist alone sifting through questions about complex biological systems can quickly feel like facing Everest. The support and trust, experience and contagious excitement among few colleagues are essential to climb that mountain. 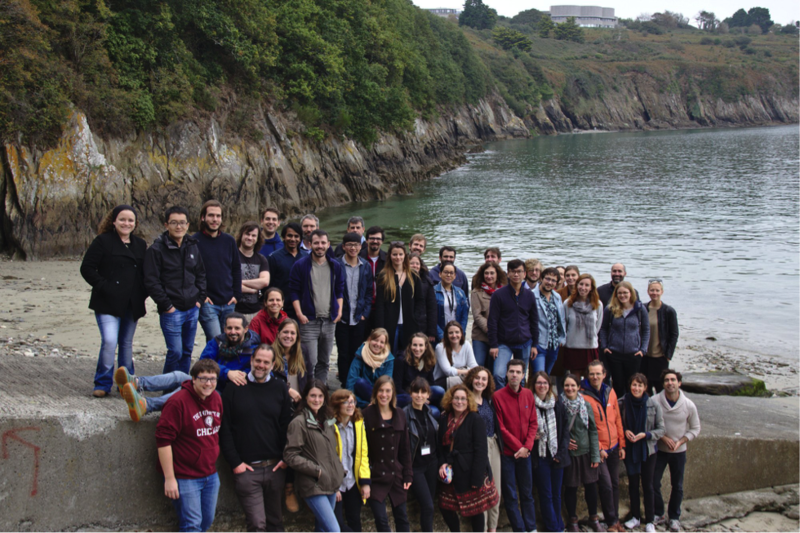 Fortunately, a part of the MBL crowd kept coming together and reviving those productive MBL days annually in France, thanks to Loïs Maignien (then a post-doc at the MBL and now a professor at the University of Brest), who has been organizing the EBAME workshop each year since 2014. Through EBAME we kept on staying informed about projects of each other’s in a learning environment, and even worked together, which led to our Wolbachia story. Meren was convinced these pooling approaches were actually missing naturally occurring genomic diversity among Wolbachia in individual mosquitoes. We decided to test whether we could reconstruct Wolbachia genomes directly from single ovary metagenomes, and study them at the individual level through comparative genomics. The first step was to overcome technical limitations on the wet-lab side. Emmanuelle Jousselin, who works on aphid symbiosis at INRA in Montpellier, introduced me to Corinne Cruaud from the Genoscope in Evry. Corinne had recently tried a new sequencing kit that might allow constructing metagenomic libraries from very low biomass samples. She was willing to give it a try and I did my math: with the help of the C2B bioinformatic colleagues in Montpellier, we estimated that this strategy could give us 3 million reads from each Wolbachia population. So off we went; we sampled mosquitoes together with Albane Marie, Gregory Lambert and Jean-Baptiste Panchau from EID. Ignace Rakotoarivony, a gifted entomologist from my lab, did the microdissection and separated the ovaries from the mosquito’s body. It seemed so easy as I watched him elegantly separating almost microscopic ovaries from already very small mosquitoes. 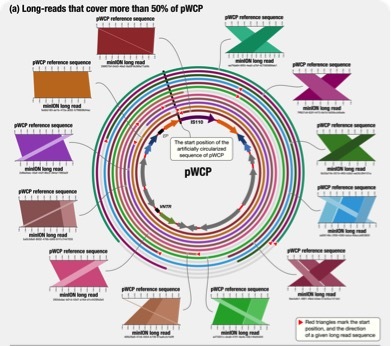 We sequenced it all, and then it was the time to deal with complex metagenomes. We assembled, re-assembled, co-assembled, single-assembled our metagenomes, until we trusted that we knew how to get most out of this particular system through genome-resolved strategies. Every attempt gave us something better and taught us more about the nature of these data. This experience was yet another demonstration that one has to play with his data in many ways and systematically. This may sound depressing, but it is also comforting to know that bioinformatics is never close to a press button solution. So the extra effort is worthwhile. To speed up the computational work, I went to visit Meren and his group at the University of Chicago with a travel grant from the INRA Metaprogram MEM. Sitting next to Ozcan C. Esen and Alon Shaiber, my computational struggles seemed to disappear magically. We automatically binned and then manually refined a Wolbachia genome from every mosquito metagenome we had (in fact our reproducible bioinformatics workflow is here). But even after we had enough confidence in our genome bins, some things did not add up: some parts of the Wolbachia genomes we recovered from different mosquitoes were consistently 5 times more abundant than the rest of the Wolbachia chromosome with no homology to the reference bacterial genome, its phages, nor to the mosquito host. We had come to the limits of our expertise. 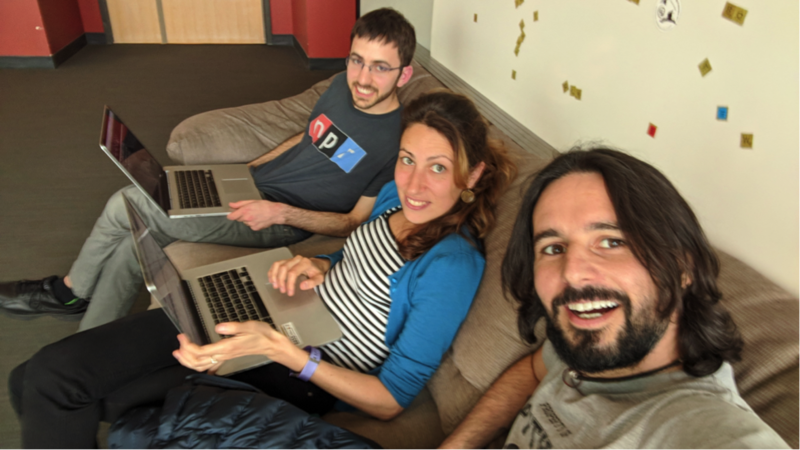 We reached out to Sarah Bordenstein and Seth Bordenstein at Vanderbilt University, two established names in the Wolbachia world, who also had MBL in their history. Throughout multiple Skype meetings and e-mail threads we dissected these curious contigs one by one. Until Sarah one day suggested that we might have stepped on a really fascinating discovery: a Wolbachia plasmid. This was surprising as plasmids in Wolbachia have been searched for, as these mini chromosomes would represent promising genome editing tools. Even though plasmids were found in close relatives of Wolbachia, such as the Rickettsia, no one had been able to identify an extra chromosomal­ element in Wolbachia. We were skeptical. This was the beginning of a long series of lab and PCR experiments, more metagenomic investigations, back and forth emails, ultimately long-read sequencing and another cross Atlantic trip, this time to Nashville. 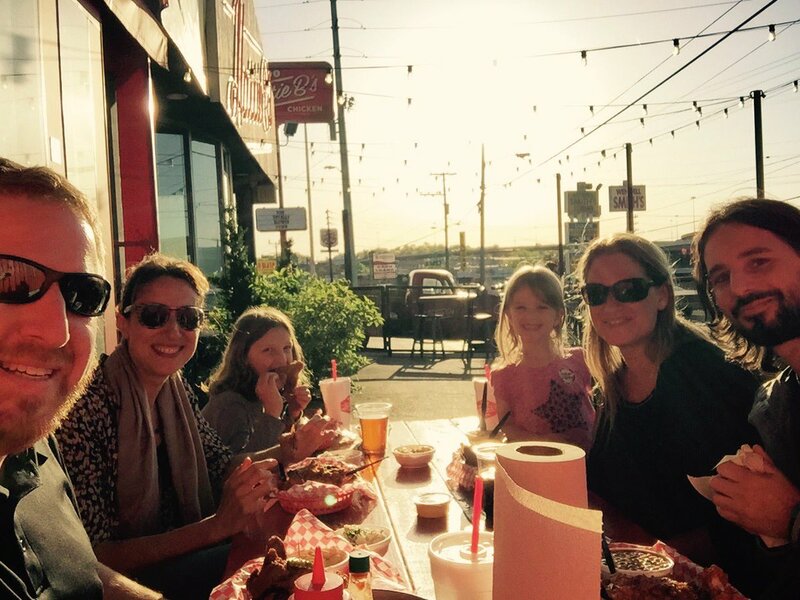 Getting to discover hot chicken and live music makes you immediately fall for the Music City. We wrapped it all together and then with our colleagues back in Europe. Mylene Weill from ISEM in Montpellier and Maria Fernández de Marco from Animal and Plant Health Agency in UK provided some precious Wolbachia-free mosquito samples and helped collecting all the proofs needed for that plasmid discovery. We submitted our paper for review. This journey taught me the frontiers between biology, mathematics, and computer science are blurring if not disappearing. This biological discovery was only possible through the contribution from people with really different yet complementary backgrounds. This is the most beautiful part of this job, I think. Like the system we study, it is a complex crosstalk yet one of the most exciting. We are like symbionts and their host, interacting and connecting to sustain ourselves. We were able to contribute a missing piece of the Wolbachia puzzle because we joined forces with those who shared the excitement. 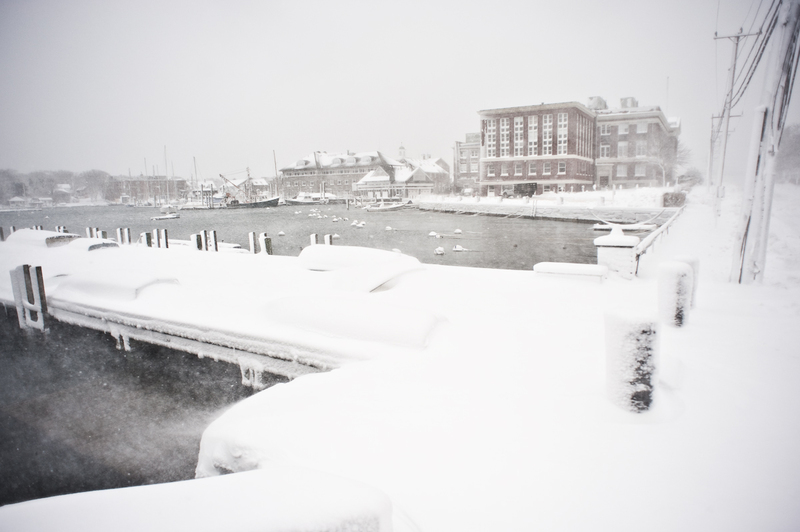 As people in Woods Hole say, ‘it takes a village’.